All history (His Story of saving us from our sin) will hinge on the cross. 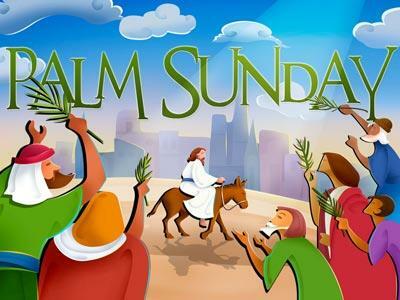 In His triumphal entry (scholars have called it a-triumphal) we see the foreshadowing of His purchasing our pardon from sin and preparing for us the way called straight. His plan was prepared before the foundations of the world and in the fullness of time (Gal 4.4) Christ came. It was no accident in the way, the time, or the festival under which Jesus came. 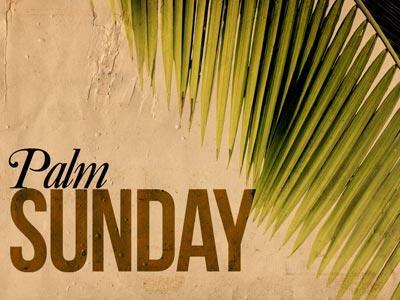 All of the scripture fulfillment, every little detail, from the donkey never ridden, the palm leaves waved, the clothes laid on the ground were prepared before the foundations of the world to show to us the light of the world. To let us know that God had prepared a way for us when we could not in own power do anything. 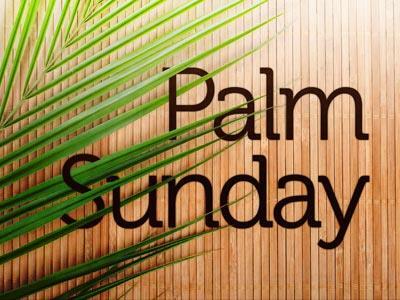 It is in the Triumphal entry we see our preparation to move from sinner to saint, from overcome by sin to overcommer of sin, from beaten to blessed!!!! We can proclaim today these things because our redeemer prepared the way, and because he finalized the plan of salvation, and because he lives I can face tomorrow. Today is a day to rejoice at the triumph of our Lord and Savior. As we prepare to cleanse ourselves for the celebration of the Passover. I. Jesus was preparing for a spiritual revolution. b) Instead he brought the sword of the spirit to liberate them from sin. a) Peace here is not Shalom. 3) Here implying that Jesus has come to subdue the impulses of sin by the Sword of the spirit. Illustration: It is through the sword that the state has ever taken control and squelched many a revolt. It is through the sword of the spirit that God through Christ has taken control of the revolt of our disobedient hearts and drawn us back into willful obedience to His law of love. 1) Jesus came down the mount of lives some 2700 feet above Jerusalem. c) Messiah and Passover lamb/ high priest both came down the mount of olives and were to enter the temple. b) Path of our heart. 1) From the Holy Hill of Zion, from Heaven God came down and was crucified on a Hill called Calvary. 2) He wants so to triumphally enter into our hearts as he did in Jerusalem that fateful day. conquering king he can cut it with the sword of the spirit out of our lives. It is because Jesus came as a spiritual Messiah that we experience God’s grace and the passing over of the angel of Death. II. Jesus was preparing for the Passover sacrifice. The separation of the wheat and tares will open the way for us to go to a place prepared for us by the Jewish carpenter. III. Jesus was preparing a place for us. 1) How was he going to go? 2) His doorway to destiny as savior was death even death on a cross. 3) Our doorway to heaven is death, death to self, death to sin. B) So what kind of a place has Jesus gone to prepare for us.